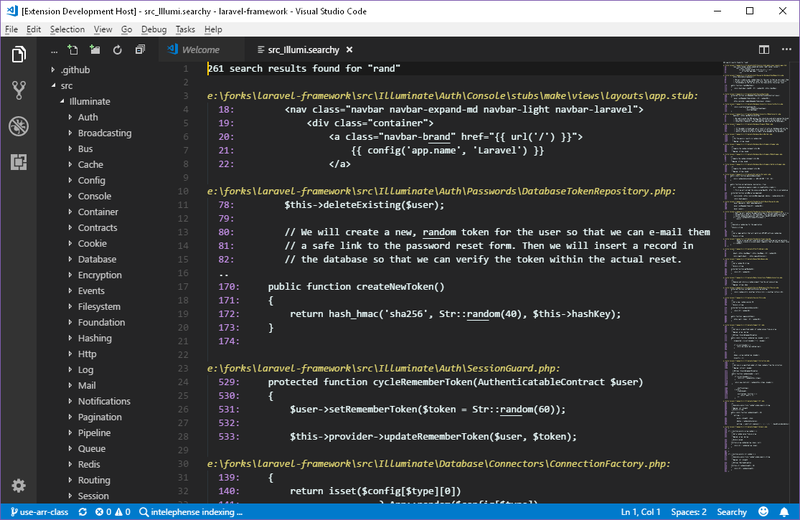 Visual Studio Code>Other>Sublime SearchNew to Visual Studio Code? Get it now. Sublime-like search for vs code. Uses ripgrep and opens results in new document. *searchy.search (Searchy - Search) - Pop open a dialog to ask for search term, and open the results in a nice read only document. This uses ripgrep. Take note of the colon ":" which seperates the folder to search and search text. This repository has been forked from malkomalko/searchy, mad props to Robert for his great work.